Br. 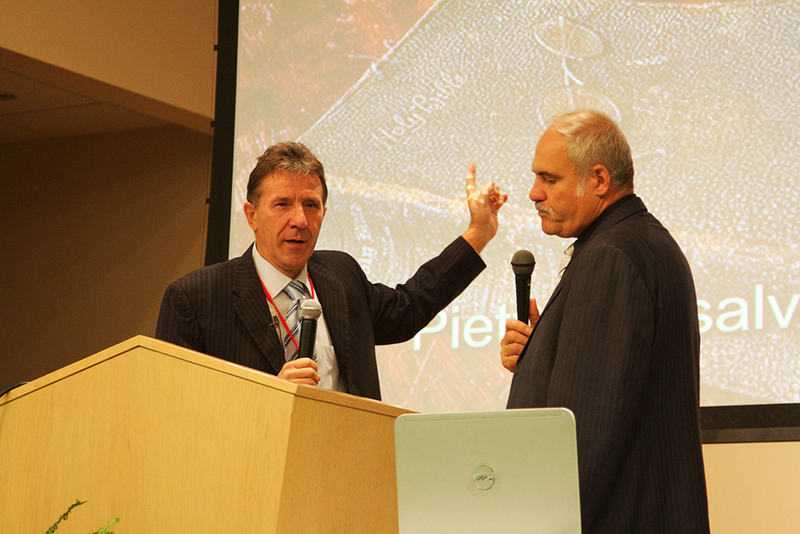 D. Ivanov presented a very interesting presentation for the morning worship, entitled “Spiritual and Physical Maladies Healed”. He spoke about the human body and how marvelously it was created. He emphasized the power of the brain as being the “Boss of the Body”. “This has a very important spiritual lesson for us,” he mentioned. The brain is the one that listens to the voice of the Creator; it has the capability to sympathize with everyone in need. This happens when the brain thrives and functions well. When this organ is abused and is not able to function, as it was intended to function when it was created, then the brain dries up. An image of a dry land with a dried up tree was shown by Br. Ivanov to perfectly illustrate the direness of the brain when disconnected from its Creator. The brain has a special ability to serve like no other organ. It serves all the other organs of the body. Br. Ivanov drew a parallel to the greatest boss in one’s life—mothers. The interesting thing about mothers is that they are the bosses in our lives, because they serves us like no other human being their entire lives, and this is why they are able to exert the biggest influence in our lives. Br. Ivanov then made mention of Christ, who was able to serve like no other human being, and this made Him the greatest leader of all time. The session started for the day at 9:00am. Br. Sureshkumar, the temporary chairman of the session, addressed the delegates and shared that we as a church are in danger of loosing our peculiarity. He shared a few important quotes from the Testimonies. As ministers and workers in God’s vineyard, the delegates pray that God help them to do their duty faithfully, and always keep the wellbeing of the flock as their first priority. An electronic roll call showed 175 delegates seated for business. Br. Sureshkumar asked that the delegates check with the brethren seated next to them to make sure all logged in as present in the meeting hall. This was necessary as some individuals, due to translation issues, were not aware that a roll call was activated and did not log in. The minutes from August 30th were presented to the floor and accepted by all. The Temporary Doctrinal Committee presented the proposed resolution on the point of the distribution of the communion wine, and the subject was tabled for two hours. A list of delegates was created of those who wanted to speak on this point with the Temporary Doctrinal Committee, and they were called in individually to speak on this matter. The Nominating Committee presented four names as candidates for the office of 2nd Vice President. After a session of prayers and 3 rounds of voting, Br. 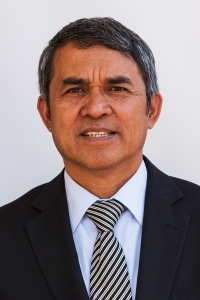 Rolly Dumaguit from Sydney, Australia was elected as the second Vice President. Brother Rolly Dumaguit will reside outside the USA to assist the President in the affairs of the General Conference throughout the world. After being invited to speak to the Session, he expressed his feelings of insufficiency to carry out the work of this office, but is prepared to trust God in whatever plan He has for him. He requested that the brethren from around the world should pray for him as he would for them. Prayers were then offered for Brother Dumaguit. The various committees separated for their work and continued until lunchtime. After the lunch break, the roll was called, and 173 delegates were seated. The Nominating Committee presented 3 names for the role of secretary. After a session of prayers and a vote, Br. 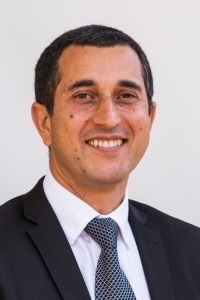 Eli Tenorio was re-elected for the next four years as the General Conference Secretary. Two more prayers were offered, and the committees were dismissed for their work. The delegates came together once again at 5:30pm as the Nominating Committee was ready to present another three names as nominees for the office of the General Conference treasury. After a vote was taken, Br. 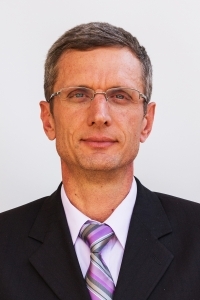 Rudolfo Gessner was re-elected as treasurer for a second term. The business of the day ended at 6:15pm. Br. André Marcelo Devai’s sermon centered on the disciples and how they were uneducated and far from perfect in character, but when Jesus united them and they were willing to learn from Him, they became truly converted men. This is what we are called to experience. Sometimes our vision becomes blinded because we do not keep in view the spiritual and eternal world. Br. Devai made an appeal that all of us turn our eyes to the eternal things, so our eyes may be cleansed and the Holy Spirit may work in us and through us, and thus a people may be prepared for the second coming of Jesus Christ. Amen. Pray the Lord will bless the work of GC Session. All delegates to show themselves to be led by the Holy Spirit. Louvado seja Deus pela maneira como está guiando os delegados nesta assembléia. Que Ele possa abençoar os irmãos Rolly, Eli e Rudolfo nesta nova responsabilidade para os próximos 4 anos. Very uplifting indeed, glory to be the name of one who reings above. May God bless this convocation, brethren and sisters let not be a formality: but a spiritual meeting that will direct every soul to Christ our Lord amen.